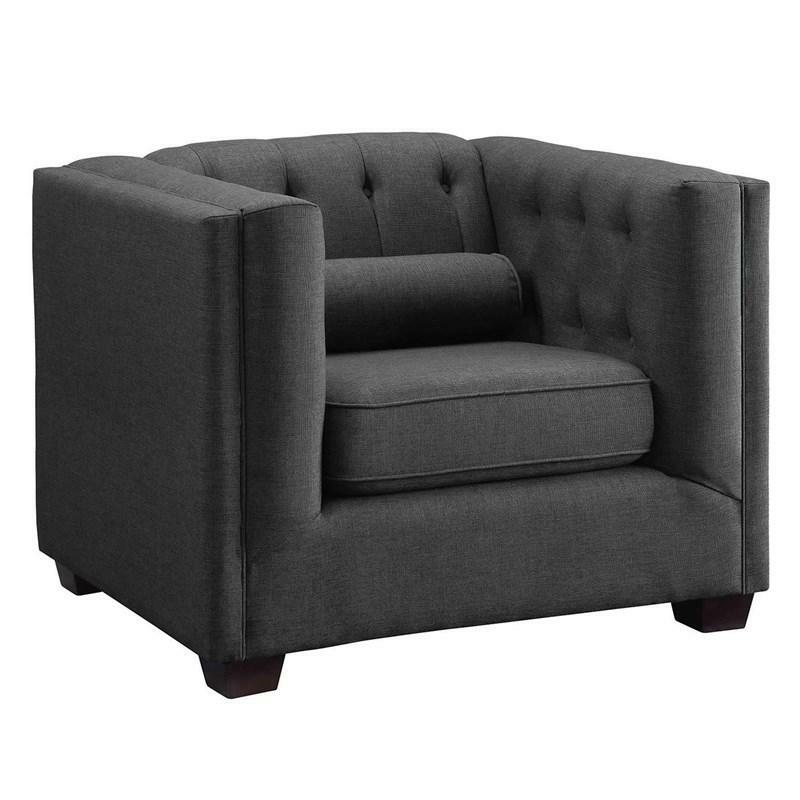 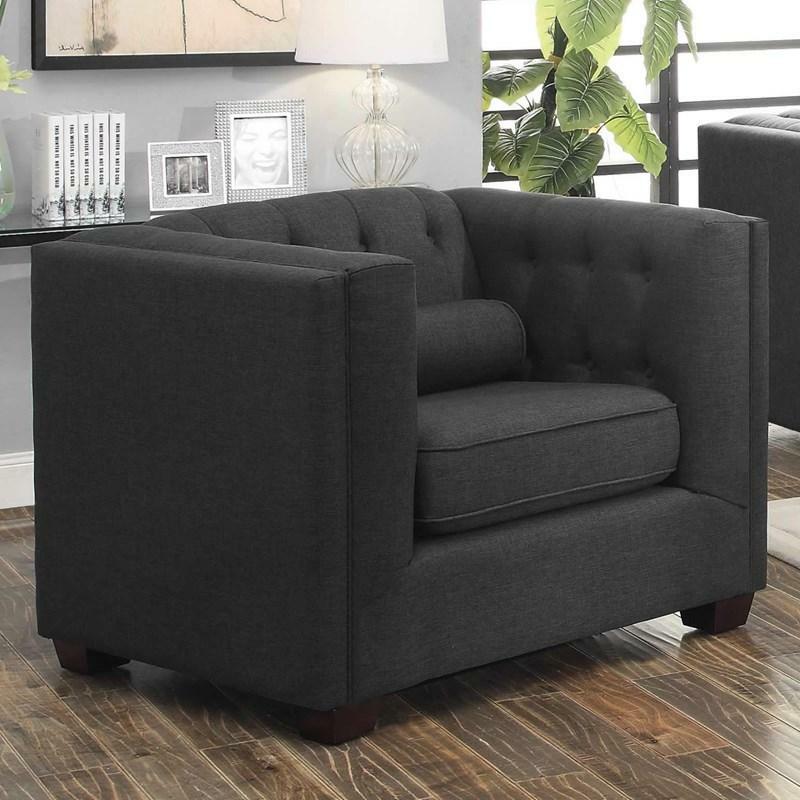 This Coaster Furniture chair of the Cairns Collection features high shelter arms, fully reversible cushions, and is wrapped in charcoal easy-care linen blend upholstery along with a decorative tufted back. 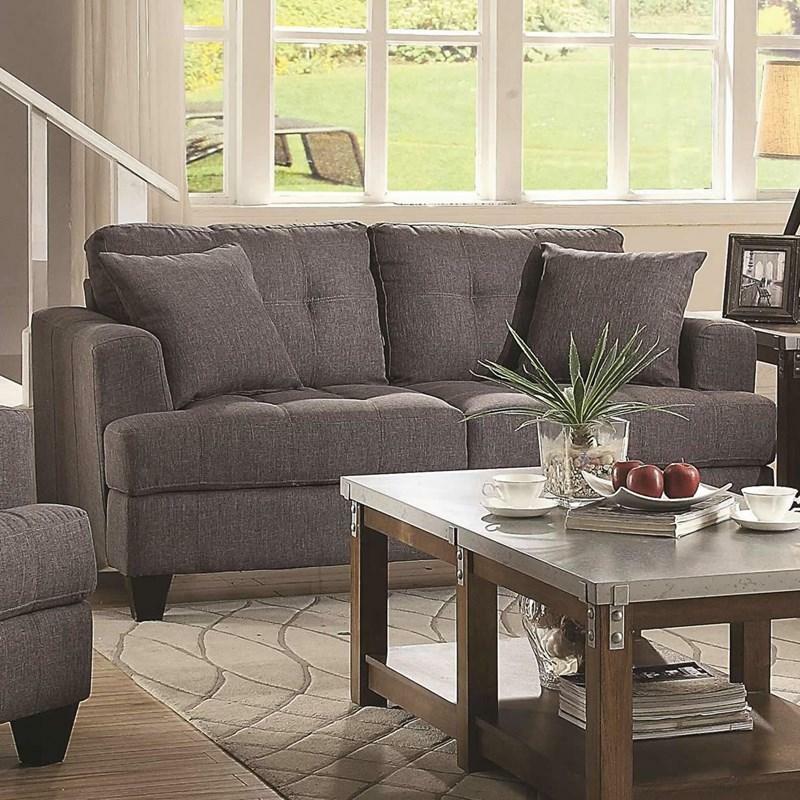 Durable with a kiln-dried hardwood frame and solid wood legs in a brown finish. 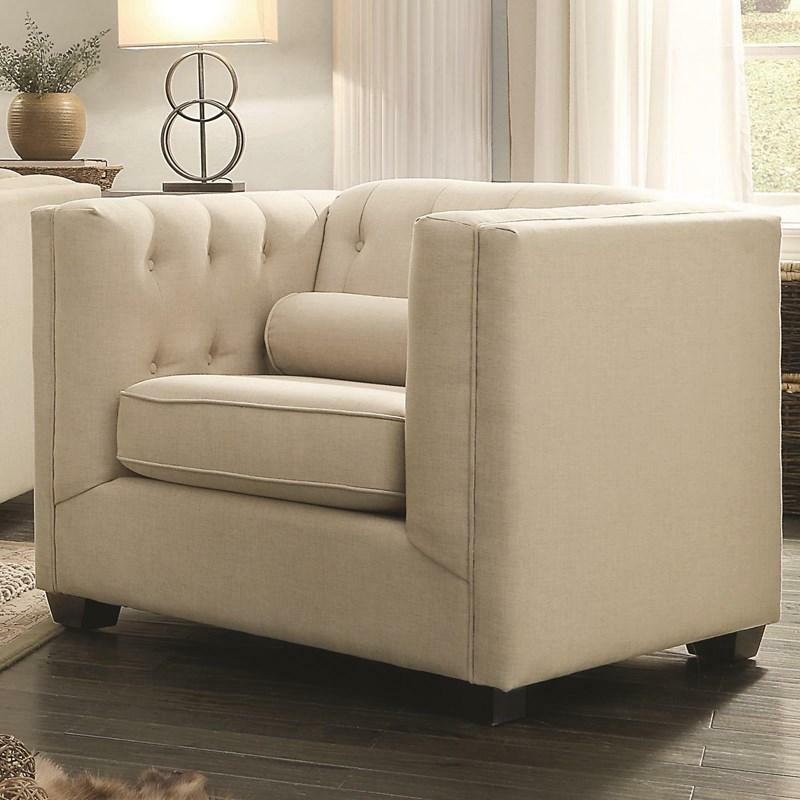 Comfortable lumbar pillow included enhancing comfort. 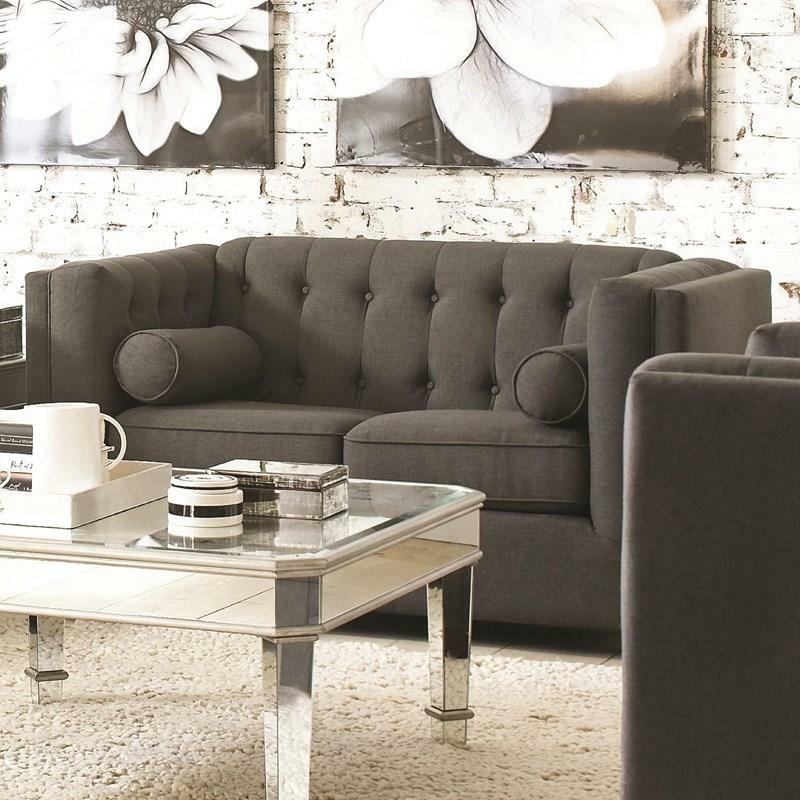 Volume 25.5 cu. 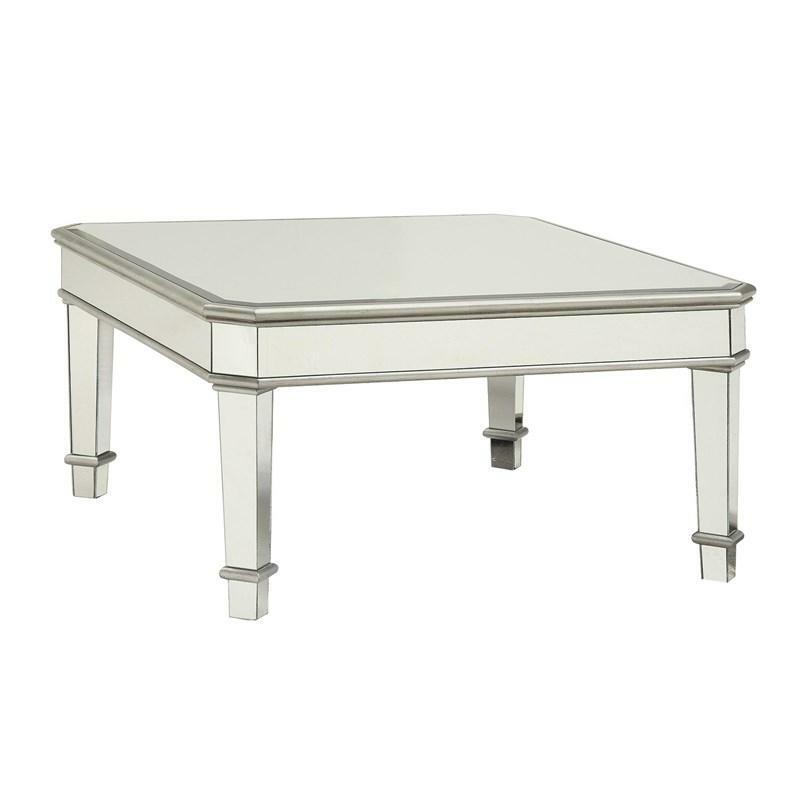 ft. / 0.72 cu. 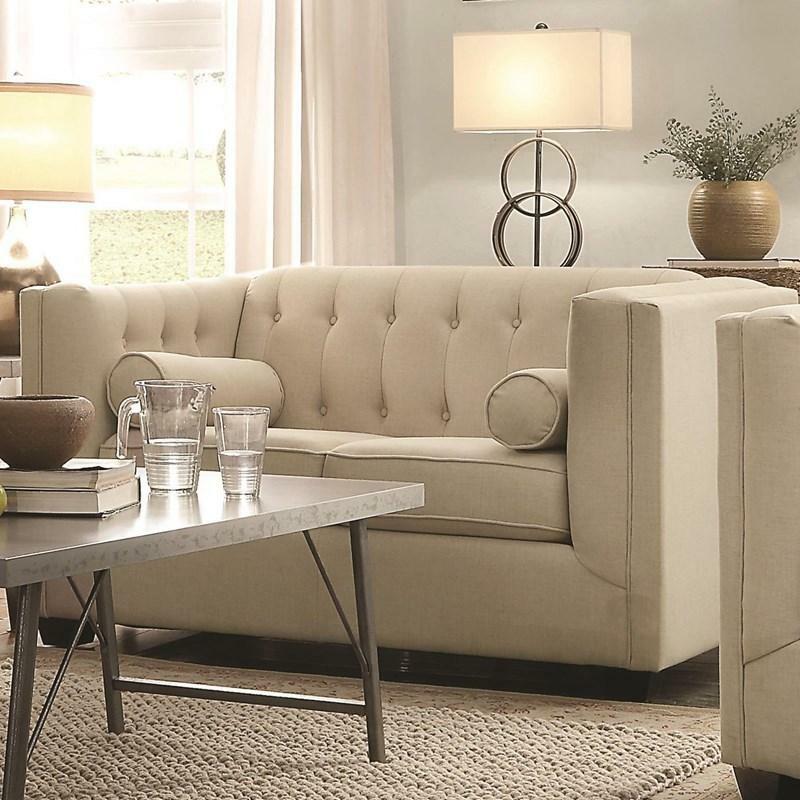 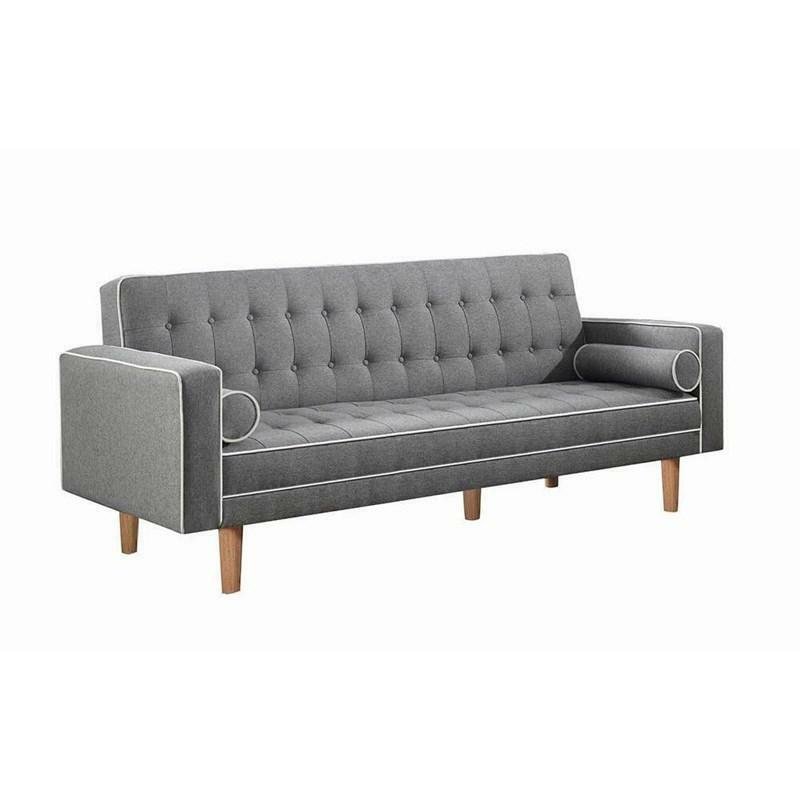 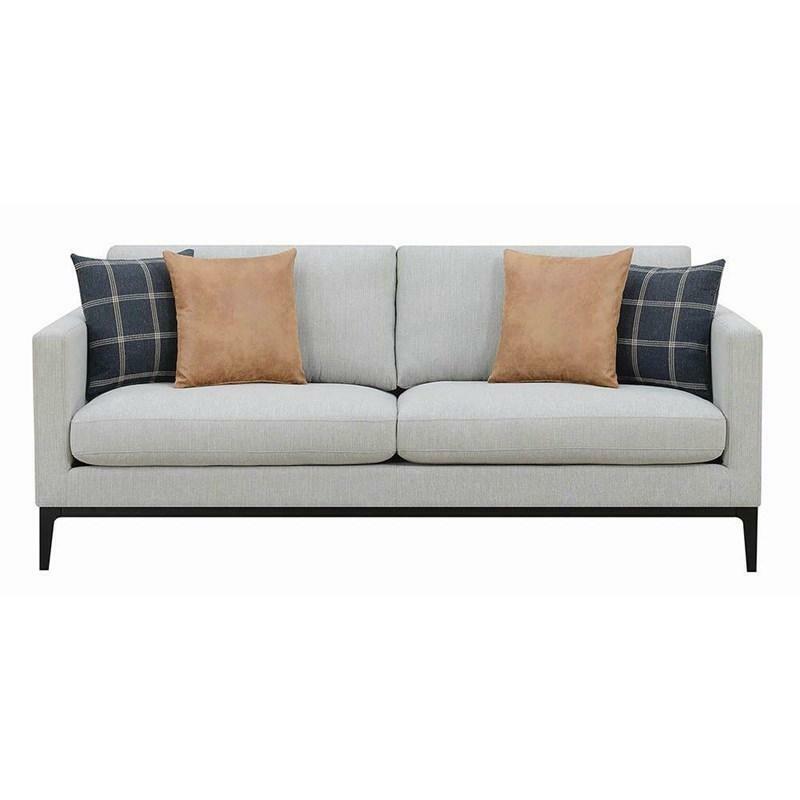 m.
The Asherton Sofa by Scott Living offers a clean line modern design and is upholstered in light grey upholstery. 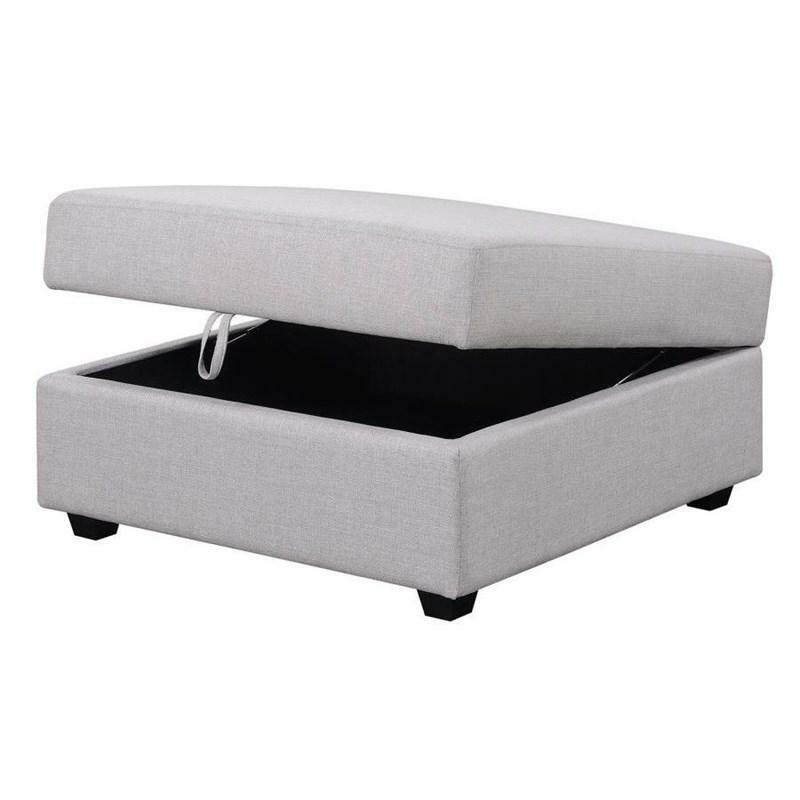 It features padded reversible back and seat cushions, track arms and black finished metal base and feet.